Sometimes the road to reading isn’t a road at all. 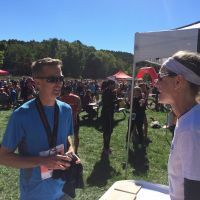 On possibly the last brilliant day of the summer 500 runners set out to have fun and raise funds at Mono Cliffs Provincial Park. Their goal was to complete one of three courses over beautiful but hilly terrain. Ours was to promote awareness of our book donations and reading festivals. Sonya spoke to several participants – who turned out to be teachers. 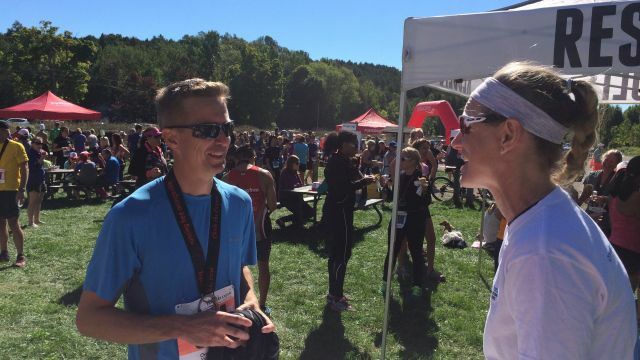 People like Steve Whyte from Ursuline College in Chatham who’s the cross country coach and from Arnprior, Sherri Madore. Thanks to Running Free owners and race organizers, Norm Nadon and Jodi McNeil for a superb day and their cheque for $4,000.00. 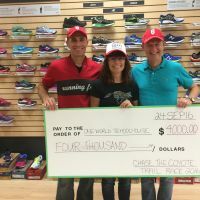 CHASE THE COYOTE TRAIL RUN is an annual event organized by Norm Nadon and Jodi McNeil from Running Free in Orangeville, ON. 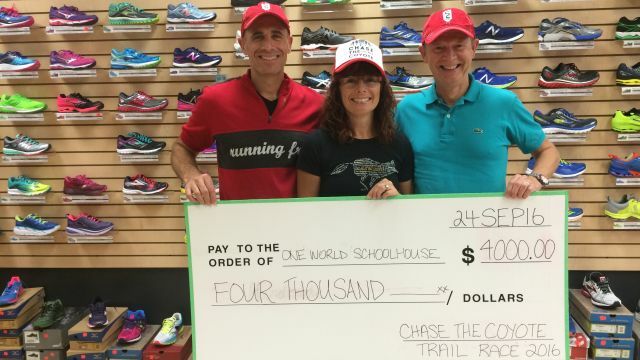 Thanks to Norm, Jodi and all the runners who came by our booth and donated a Toonie!